Big Al's is a full service shop servicing and selling all kinds of bikes from high-end Mountain and Road bikes to Klunkers and Kids bikes. Need the latest maps and trail Info, a fix on your bike, or some Gu, we've got you covered. 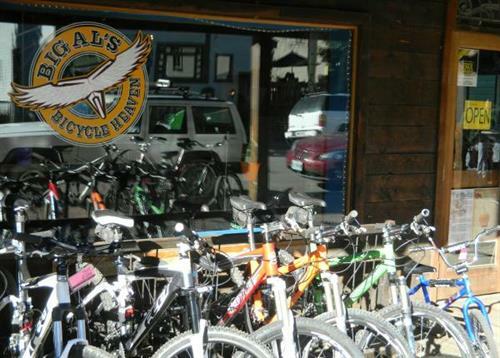 We rent a full line of Mountain bikes and ''townies'' for cruising. The kids are set up too with Trailers, trail-a-bikes, and kids bikes. Use our free bike wash and shop our great selection of the latest bike clothing and accessories. Come on in, we'll take care of you.